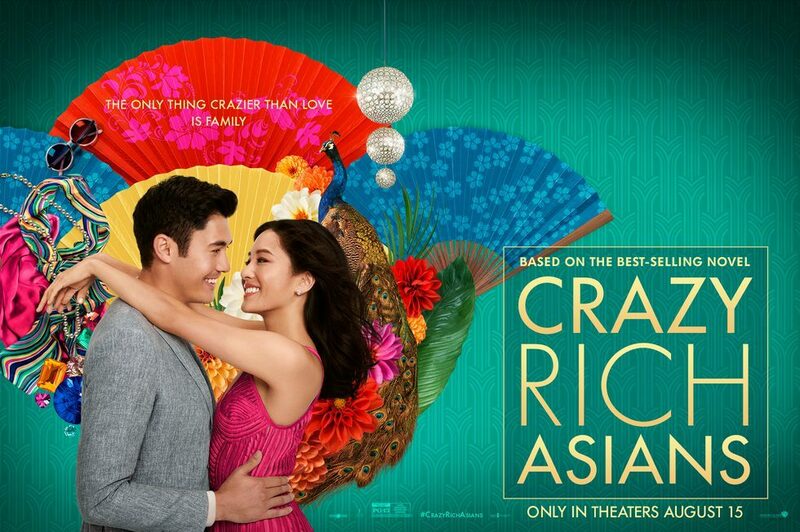 Based on Kevin Kwan's 2013 novel, Crazy Rich Asians is a romantic comedy which tells the story of two young first generation Asians who defy the odds to find love. What are the odds? A system of class, steeped in hundreds of years of Chinese history. The film's opening scene is set in London, 1995. Eleanor Young (Michelle Yeoh) and her family seemingly burst through the entrance of a luxury hotel to escape the rain, and are refused a room by the hotel manager as they "don't look the part" and are instead advised to "look for a room in China Town". However, smirks exchange faces when it transpires that the Young family are not there to rent a room but to buy the whole damn hotel! This sets the tone for the rest of the film because we are promptly schooled on how wealthy the Youngs actually are. Fast forward to 2018, New York, Eleanor's son Nick (Henry Golding), who I assume to be in his late twenties is flying back to Singapore for a cousin's wedding, with his girlfriend Racheal Chu (Constance Wu), an economics professor and the daughter of a self-made realtor. Whilst she's by no means struggling, she is definitely not classified as wealthy. When Racheal's and the Young family's worlds collide, what unravels are stark lessons in acceptance, how to toe the thin line between enlightenment and the preservation of culture, and the cost of love. Will Rachael ever fit in the affluent and luxury life of the Youngs? Will Eleanor ever accept Nick bringing the family's long-standing name and reputation into disrepute by his actions? In terms of cinematography, the colours were vibrant, and some of the scenes were breathtaking. Shots of the wedding and reception, the focal point of the film were absolutely beautiful. Wide landscapes of the Singaporean landscape provided good education on how developed that part of the world is. Some of the buildings captured far outstrips some of the towers I see here in the city of London! 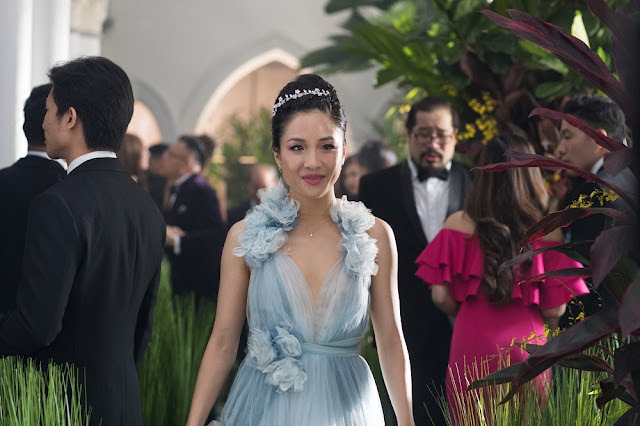 My favourite character was Goh Peik Lin, Rachael's best friend, played by Akwafina (Constance in Ocean's 8). She provided the comedy element which balanced out some quite intense themes. 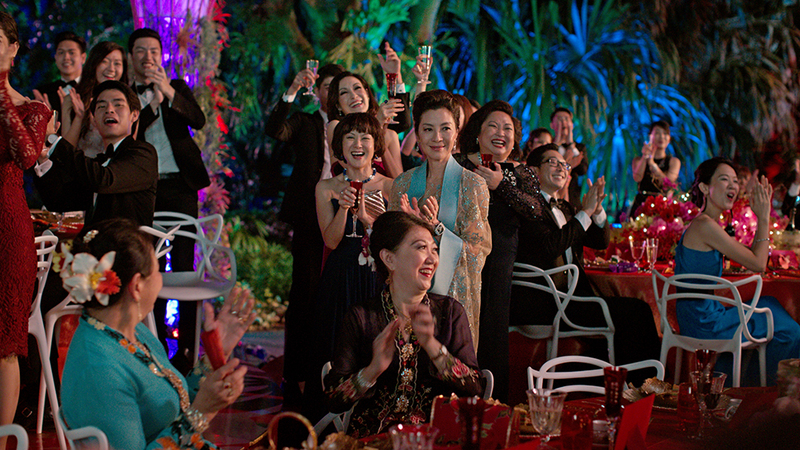 Altogether, I really enjoyed Crazy Rich Asians. There were some unrealistic scenes (how does someone jump through airport security and halt a plane just so he can stop his love interest from leaving?) however is it even a real rom-com without a bit of over the top mush? But it teaches a good lesson, provides some beautiful scenery, and a lot of laughter. Akwafina is hilarious and that is highlighted so much in this film. Go and watch it in the cinema. You won't regret it.